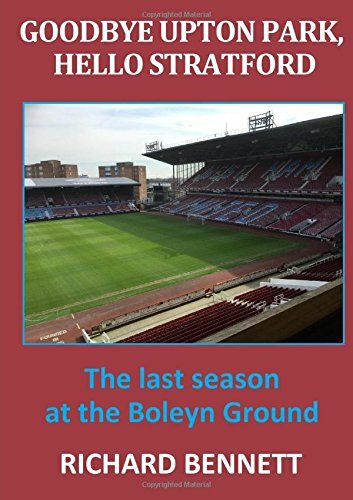 Under The Hammers – All the West Ham news, views and reviews. Inconsistency, poor attitude and delusions of grandeur continue to plague the two Premier League nearly clubs competing for scraps at the London Stadium. A season punctuated by international breaks and blank cup weekends (one unavoidable and one unforced) comes back to life this weekend as the league finally moves towards its thrilling climax (© Sky Sports). There comes a time in most seasons when you start to wish it was all over. File it under disappointing and hope that it will all be better next time after a profitable summer pruning the deadwood and strengthening the squad . I guess there has been definite improvement since the employment of Manuel Pellegrini – more entertaining football, at least – but the fact remains that, with seven games to go, there is precious little to play for apart from a remote possibility of Europa League qualification. The feeling is like being at stop nine of a twelve pub crawl, when the sensible option would be to give up, go home and get some sleep, but the voice inside convinces you to carry on to the World’s End. No doubt when the season does eventually end there will be a football sized gap at the weekend which can only be replaced by the irritation of endless transfer window speculation. Despite the knowledge that the majority of stories are most likely made up by some bloke in his bedroom, it is impossible to resist clicking that latest teasing headline to yet another spurious rumour. We will then react with enthusiasm, disbelief or outrage depending on the prevailing view of the board’s ambitions. For the record, I have taken an indicative vote and decided to reject the Shelvey or Mitrovic rumours as undesirable outcomes. Moving on to today’s game and we welcome fellow serial underachievers, Everton, to the London Stadium. This fascination of this Cinderella derby, featuring two clubs from big footballing cities who have long lived in the shadows of more illustrious neighbours, is which of their inconsistent incarnations will be on show . Both appear to have a shared set of shortcomings whereby, lacking the resources to compete with the truly big boys, they assume there is some form of reflected glory that renders it unnecessary to adopt the graft, commitment, determination and teamwork demonstrated by less glamorous clubs. Everton have long been one of the Hammers principle bogey teams, both home and away, although a win today would make it three in a row for West Ham and earn a rare league double, the first since 1972/3. The two teams are also in a tug-of-war battle for the honour of most all-time Premier League defeats; a tussle in which Everton have now regained the initiative to lead by 364 to 361. Many people say that you should not change a winning team but I’m not sure whether that still applies when you have played badly and won. Given how West Ham had the look of a pub team for much of the match against Huddersfield, until it was rescued by a rousing finish and a fortunate narrow victory, it would be no surprise if the manager decided to shake things up a bit. Once again it was a poor attitude and lack of application that was mostly to blame. Unfortunately, it appears that the player who made the greatest contribution to turning around that game, Samir Nasri, will not be available this weekend. A recall for Fabian Balbuena following his recovery from injury must now be long overdue. The team, and Issa Diop in particular, have missed his organisational and leadership skills. In the absence of any other options, Pablo Zabaleta and Aaron Cresswell will continue as full backs. It is difficult to imagine that any of the current strikers will still be at the club when the 2019/20 season kicks-off in August, and so it is anyone’s guess which name will appear on the team-sheet today. Who will be Pellegrini’s choice between the angry Austrian, who remains the most able to play a lone striker role, and the mercurial Mexican who is likely to be full of confidence following his two goal haul against the Terriers? As ever, playing two up front sounds appealing in theory but would see the flimsy West Ham midfield badly exposed, even allowing for the presence of new England international, Declan Rice. The media have already agreed that the transfer of Rice to a top six club in the summer is a ‘done deal’ but we might be lucky to get one more season out of him leading up to EURO 2020. Late season games often see the odd young player thrown into the mix but I do not see any radical team selection decisions being made until the chance of seventh has completely receded. Personally, I feel that a youngster or two on the bench this time of year is always worth it just in case circumstances allow them to get a run out. Everton have experienced as inconsistent a season as West Ham and currently sit two places and two points below the Hammers. In theory, they are another of the teams that could secure seventh place. The greatest threats are Richarlison and Sigurdsson both of whom have twelve league goals to their credit this season – compared to no Hammer yet having reached double figures. Keep those two quiet and the chances of victory are greatly increased. Sadly, the hapless Walcott is unlikely to feature and his aimless running up and down the wing will not be part of the entertainment. In the distant past, Walcott saved some of his best work for games against West Ham, but those days are long gone. Arsenal have always known when the time was right to jettison their spent forces, something that West Ham have learned to their cost on several occasions over the years. It will be a first London Stadium visit of the season this evening for referee Paul Tierney of Lancashire. A prolific issuer of yellow cards (83 from 26 games), Tierney’s only other Hammer’s engagement this term was the away victory over Newcastle in December. Neither Lawro nor Paul Merson were inclined think too long and hard about this fixture and both have gone for the draw, 1-1 and 2-2 respectively. Failure to win today could be a final dent in the battered dreams of seventh place whereas victory would keep the flame flickering for a little while longer. By the time kick-off comes around the Matchweek 32 fate of Wolves and Watford will already have been decided, as will the potential for ending the day any further up the table. Heart is going to overrule head this week with the prediction of a controlled 2-0 home win. Is the race for seventh place still alive? This week I went to see Only Fools and Horses – the Musical. As a fan of the TV programme I thought that this stage musical, originally the brainchild of the show’s creator sadly deceased, John Sullivan, was superb. There was an interval to the show, but only one. It is not a perfect analogy I know, but I don’t think the audience would have been happy with four breaks. But this is exactly what happens to the domestic football season when the natural rhythm of weekly matches is broken by international football matches. Some may like this but I am not keen personally. It is certainly better when the matches have some meaning (as in qualification for the 2020 European Championships), and are not friendly matches with limitless substitutions. I guess this is especially so when the England team rattle in five goals in each of their two matches against arguably our strongest opponents in the qualifying group, and have virtually qualified already. I’d still like to see the international break limited to perhaps once in the season, and then have additional matches for the national teams at the end of the domestic season. When I was young England, Scotland, Wales and Northern Ireland used to play the Home International Championship at this time and it worked well. Qualifying matches for major tournaments could be played at the season end without frequently interrupting the domestic leagues. Today we face Everton, so we have two clubs still aiming for a seventh place finish, but despite their aspirations both will probably fall short. Apart from the opening few games in our case, neither team has been involved in the relegation scrap at the foot of the table. Both are comfortably placed in mid-table, but both probably believe they should be a bit higher, and want to challenge Wolves and Watford for the honour of finishing as the top team outside the elite six. Three points this afternoon would help the cause of both and keep the winning team in with an outside chance. In fact a West Ham win could even put us in seventh place after this weekend’s games if Watford and Wolves slip up in their away games at Manchester United and Burnley respectively. It would be great to see a seven goal thriller for the second consecutive home game but this is highly unlikely. More likely (I hope) is a 3-1 home victory to match our win at Goodison Park earlier in the season, and the score in our win over the Toffeemen in the final home game last season. If I recall correctly our three goals in May were all from outside the box. Lanzini scored two of them in what was to be his last game for us until recently (of course we didn’t know that at the time!) and Arnie thumped one home from 20 yards too. To me it highlighted the limitations of Jordan Pickford as a goalkeeper, and commentators would have said that he would have been disappointed to let them in. Of course since then he has cemented his place in goal for the national team, although I remain unconvinced. Of all the England keepers currently playing who I have seen live my preference is for Jack Butland of Stoke. He is probably overlooked as he is not playing Premier League football though. Just to emphasise the importance of the results when playing against teams around you in the league I will go back 50 seasons to 1968-69. That was an excellent time for us, and our final finishing position was eighth whilst Everton finished third. We began that season so well only losing one of our opening eleven league games. That defeat was our biggest of the season, a resounding 4-1 loss at “fortress” Upton Park to Everton. We also lost the return fixture at Goodison Park. Had we won both of those games then Everton would have finished fourth and we would have been sixth at the end. In the following season Everton were the champions of England, topping the league by a massive nine points (these were the days of only two points for a win). We finished seventeenth. And yes, they beat us twice that season too. Our head to head record against Everton is a poor one, where our wins and the drawn games are just about equal to the number of Everton victories. For a long time in the early years of this century, Everton were considered to be a bogey team, and Lukaku seemed unable to fail to score when they played us. In fact, until our 3-1 win on the final day of last season, we had only beaten them twice at home in the league in the 21st century, both 1-0 victories in 2002 and 2007. Although there was, of course, the FA Cup win 9-8 on penalties when Adrian famously threw his gloves to the ground before scoring the winning penalty. One league where Everton and West Ham are fighting for top spot is that of most games lost in the Premier League. Both have topped the table in recent times, and there is little to choose between the two, although Everton have played considerably more games than we have, as they have been ever present. Everton currently lead by 374 to 371. But to be fair, it is not all bad news as to have this record confirms longevity and appearances in the Premier League, with both clubs also in the top ten for games won too. The similarity of inconsistency and records this season is reflected in the bookmakers’ odds, where we are slight favourites at 6/4 to win the game. Everton are 7/4 with the draw at 9/4. 1-1 is the favourite score at around 5/1, whereas a West Ham win of 1-0 is 8/1, and a repeat of the 3-1 for our last two wins over Everton in the past year is 18/1. Our home record is improving, whereas Everton have been relatively poor on their travels. But the past counts for nothing. I’ll go for 3-1 again, although any victory would keep us in the hunt for a seventh placed finish.